We have conveniently sized Kits to get you started right away! Have a set to keep in the office and a set to sell. Get Your COMPLETE KIT of all 9 Sizes NOW, look for it on our ORDER FORM. 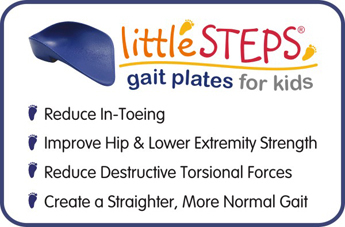 littleSTEPS® Gait Plates are the first semi-rigid prefabricated orthoses that effectively limit in-toeing caused by rotational deformities of the lower limb. 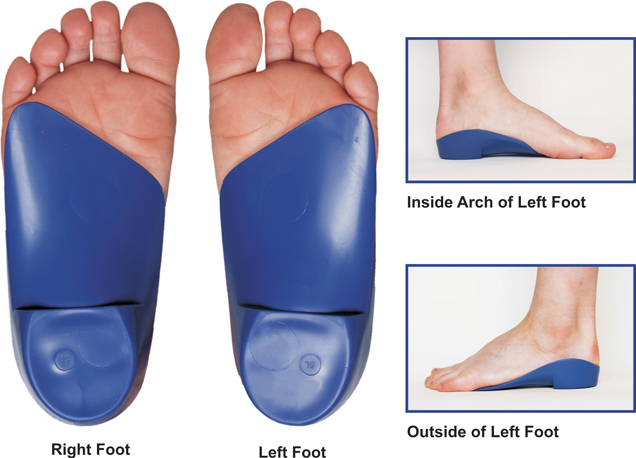 Left untreated toe-in gait may impair proper development of the lower limb and lead to permanent structural, strength, balance, and coordination deficits.